How SEO Works Step-by-Step Guide | Redbox SEM rel="canonical"
What business owner doesn’t want higher revenue from their digital marketing efforts, right? Well, when it comes to making sure that you’re getting the most traffic (and online sales!) as possible, you need to make sure that your website is optimized for search engines. Why? Because the fact is that over 250 million shoppers used a search engine like Google to find the items they wanted to buy. If you want to grab some of that traffic, you’re going to have to follow the best Search Engine Optimization (SEO) practices for your site. You might want to enlist an SEO expert or you can keep on reading to make use of our step-by-step guide to how SEO works. Let’s get started with the building blocks of how SEO works. We’re talking about on-site optimization. Some the most integral parts of getting more traffic will happen on your very own website, not through paid advertising, or other types of marketing. You’ve probably heard a lot about the importance of building links and we will definitely go over that later on in this guide to how SEO works. But for right now, let’s talk about how you can get your site prepared to benefit from link building with some “bare minimum” on-site optimization practices. Before we launch into our step by step guide, we should mention that there is a rule that must not be broken when it comes to optimizing your website pages. So, what is this unbreakable rule? Put simply, when it comes to on-site SEO, you never want to overdo things. At one point in time, you will probably be tempted to just stuff your website’s content with keywords, in hopes of getting Google’s attention faster. Not only will this tactic not work, it can actually get you in hot water with Google and the other search engines, and will quickly undo all of your efforts to learn how SEO works for you and your business. The bottom line is to keep it simple when it comes to keyword optimization. You should focus on coming up with no more than five keyword phrases for each page of your site, and work on optimizing those. Now that you know what to avoid with your on-page SEO, let’s take a deep dive into what you should be doing to optimize your site. Adding a title tag to each of the pages on your website helps to tell search engines what they are all about. This helps to make sure that consumers can find you! Your title tags should be placed near the top of any HTML code, can’t be any more than 70 characters in length, and also include the keywords that relate to only that specific page. If you want to make the most out of your new knowledge of how SEO works, really get Google’s attention, and boost your sales, you need effective meta descriptions. Just be sure to write them with consumers in mind too! You want meta descriptions that sell for you, day in and day out. Be sure to include each page’s main keywords and keep in mind that meta descriptions show up in all search results, so make them interesting and compelling to encourage browsers to become buyers. Meta descriptions and title tags might be the biggest players in your on-site SEO efforts but they’re far from the only ones! 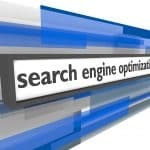 Check out these other easy ways to increase the optimization of your website. Internal Links: Help the search engines to help you by adding links to other (related) content on your site, such as blog posts or product pages. Header Tags: Adding various heading levels to your site’s content (H1, H2, H3, etc.) helps both readers and search engines to easily scan and digest your posts. ALT Tags & Image Names: Be sure to add keywords to any images that you use on your site to help consumers find your site when running a Google image search. Bolded Text: Occasionally bolding important (keyword-optimized) text throughout your content helps both readers and search engines decide what’s most relevant. You’ve probably heard all about the importance of content marketing when it comes to how SEO works for increasing the reach and sales of your business. Reminding yourself that content is king might be an old adage but it’s all the more accurate in today’s high-tech world. If you want your digital marketing campaigns to pack the biggest punch, you need killer content, simple as that. And the more content that you have, the more attention that you’ll get from both potential customers and the search engines. So what’s the key to pleasing both Google and consumers? Making sure that your site is full of quality content can seem like a huge undertaking but the ROI that you will get from your efforts makes it more than worth it. Search engines will love it and so will visitors, which means an increase in the likelihood that they will help boost your reach by sharing your content on their social media accounts. For the best results, you should start simply with your content marketing strategy by writing blog posts for your site and slowly build up to an expansive catalog of content. As promised, this is where we will take a more in-depth look at building links for the off-site optimization of your web pages. Link building has generated tons of talk in digital marketing circles when it comes to how SEO works via specific elements and optimization tasks. So, what’s the basic goal of link building? You want to get other authoritative websites in your industry to link to your own site. Taking the time to get backlinks with keyword-specific anchor text will skyrocket your website’s search engine ranking, bringing in tons more traffic and giving you a chance to make more sales. But how do you get links? There are a variety of ways to build links and help you cash-in on your new knowledge of how SEO works. But ultimately, you should focus on what works, right? Organic Links: These are the best kind of links, due to them being highly favored by Google, and also thanks to the fact that you don’t even have to ask for them. Organic links are especially helpful when they come from well-known websites. Whitehat SEO: Just like how a white hat indicates a good guy in old Western movies, Whitehat SEO means high-quality links that are gained by legitimate means. Blackhat SEO: On the flip side of the coin, Blackhat SEO stands for “spammy” links that are of a low quality, and were gained by “sneaky means,” and they should be avoided at all costs. You may realize at some point during your journey to learn how SEO works that coming up with sources for organic or Whitehat links can be difficult at times. That’s why link building services are so popular but if you’re determined to build links on your own, take a look at some of the most popular techniques below. 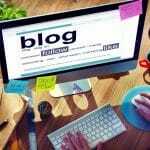 Taking part in guest posting for well-known blogs in your industry. You want to make sure that your guest posts are of a high quality to help make sure that your post is accepted and you get a link back to your site. Reaching out to businesses in your industry that aren’t direct competitors to take part in a “link swap” on each others website pages. Vendors and suppliers are a great choice for this link building strategy. Creating profiles for local search results and social media to attract clicks and increase traffic. Submitting your website to applicable directories in your industry. Just be sure to avoid “shady websites” that are obviously taking part in Blackhat SEO practices. Publishing “link worthy” content on your website and blog. Infographics are a great choice for this link building technique, as they are one of the top types of content that gets massive social media shares. If your goal is to dominate on Google and other search engines, you need to make sure and join Google’s own social platform. Google+ can help you rank better in search engine results for your connections. For example, if you are logged into Google+ and run a search for “search engine optimization,” you’re going to get personalized results based on who you are friends with on the social network. This results in even better results than you would get if you were in the top local search results. How’s that for some insider info on how SEO works? Recommend your own website by giving it a +1, sharing it on your personal profile, and linking to it under your personal info. Fill out your personal profile as completely as possible and include your industry, as well as any that are related to it. Make sure that your profile is set to “public” and that all of your status updates are shared with the public, as well. Connect with Google+ users that you want to show up in search results when you’re looking for your top keyword phrases. Hopefully, most will then add you right back as a connection! Basically, lots of popularity on Google+ means a higher chance of having an influence on the personalized search results of your followers. This allows you to take advantage of an increase in targeted traffic. After going to all the time and trouble of learning just how SEO works, you want to make sure that you are monitoring your results. This will allow you to make any changes that you need to gain even more traffic. The good news is that there are tools out there that will make tracking the progress of your search engine optimization quick and easy. Google Analytics: This powerful online tool is free to use and will show you the results of your organic traffic sources. Google Analytics will also help you to learn as much as you can about the visitors to your site. You can see which keywords brought in the most browsers and what they did on your site once they were there. Authority Labs: You can create a free account for this keyword tracking tool that will show you your site’s specific ranking. Authority Labs will give you targeted into about how your content is moving up the page in search results. For the best results (and an awesome ROI on your efforts to learn how SEO works), be sure to look into some of the other incredible SEO tools that are out there, as well. Want to Learn Even More About How SEO Works? This step-by-step guide to how SEO works is a great starting point but there’s always room to gain more knowledge when it comes to increasing sales. Check out our helpful tips on SEO and digital marketing to learn more about what it takes to boost your site’s traffic. If you want a tailored SEO marketing strategy for your business, contact us today for a free quote!